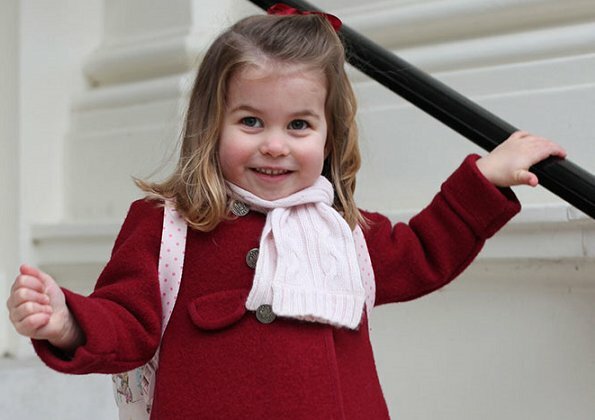 Princess Charlotte has started her first day of nursery and to commemorate the big day, Kensington Palace has published two new photos. 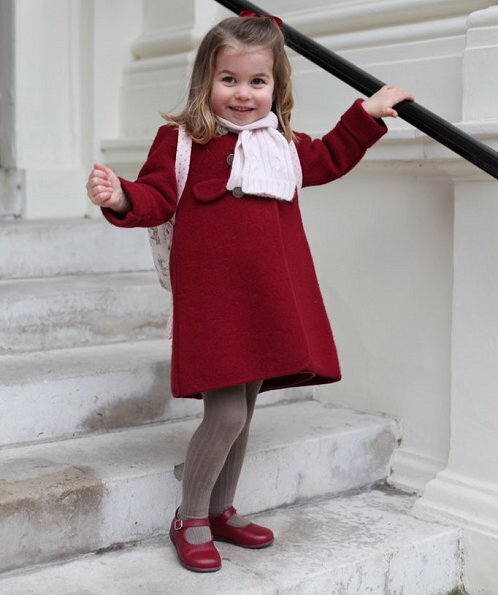 The photos were taken by the Duchess of Cambridge shortly before Princess Charlotte left for her first day of nursery at the Willcocks Nursery School. Kensington Palace wrote in a statement: "The Duke and Duchess of Cambridge are very pleased to share two photographs of Princess Charlotte at Kensington Palace this morning". Oh, she is just beautiful! Completely adorable! 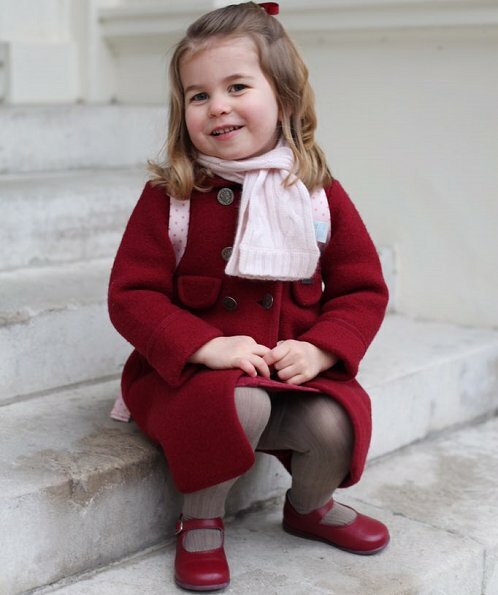 And her little coat, scarf and shoes are perfect. Omg she's so big! Looks adorable and so grown up! ADORABLE, looks like she is going to be tall. She looks a lot like Kate to me in the pictures. She looks just like her Grandmother, the Queen. That must tickle her to no end. Oh dear how cute she is! And an image of her great grandmother The Queen. She is just charming. It's lovely to watch children grow and change. 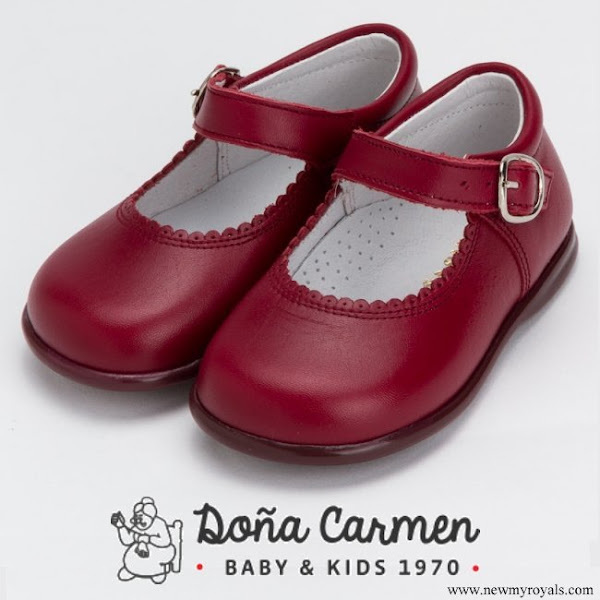 Adorable girl with fantastic spanish fashion for kids. Good mix of mommy and daddy in the little face. Adorable, happy little princess with lots and lots of self confidence. What a sweet little personality she is! William and Kate are doing a great job raising these children. And soon there will be three of them. How lovely! She has a sassy little manner, perhaps like Diana. I can tell she is loved, confident and happy. Good job William and Catherine.